Found wherever copper deposits occur, namely Chile, United States (New Mexico, Arizona), Zaire, Zimbabwe, Nambia, former Soviet Union, Australia, France and England. 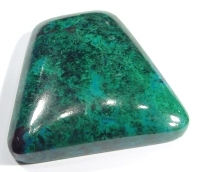 Very similar to malachite, but more bluish. Can be confused with turquoise. With areas of white , and a dark green design. With strongly bluish green areas. 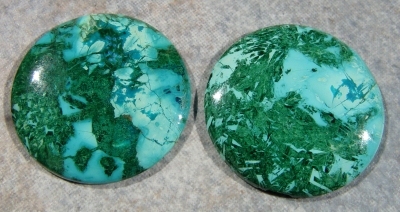 With areas of dark violet, Green and Green Blue. 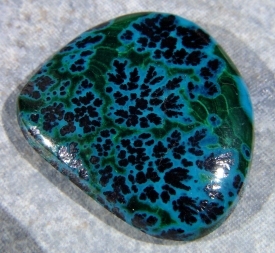 A Opaque, good teal and green colors.